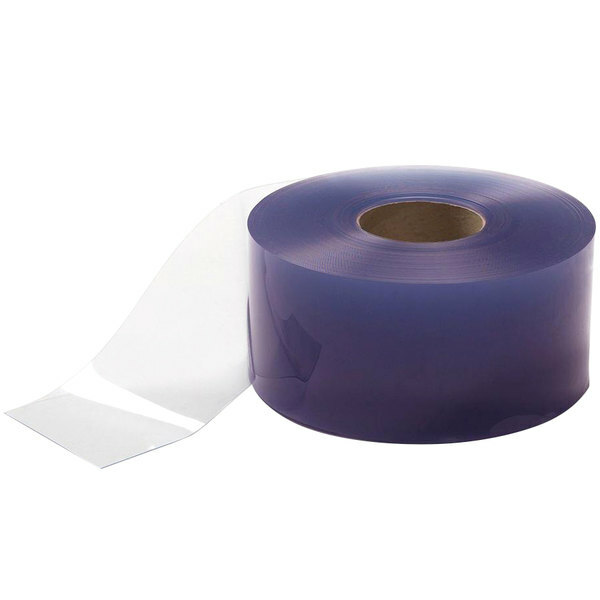 This Curtron FCU04080-3 4" x .080" x 300' transparent clear, polar reinforced PVC strip door roll is made of USDA approved material that meets federal requirements for incidental contact with meat, poultry, and dairy products. It can be used to create a new, customized PVC strip curtain, to protect against noise, wind, dirt, or temperature changes. Or, you can cut the strips to the length of an existing strip door, and use them as replacement strips. It's UV stabilized, and can be used in environments with temperatures ranging from -20 to 140 degrees Fahrenheit. This Curtron FCU04080-3 4" x .080" x 300' polar reinforced PVC strip door roll is ideal for use in entryways with carts, pallet jacks, light forklift traffic, or small exterior doorways. This strip door roll measures 4"W x .080" Thick x 300'L.